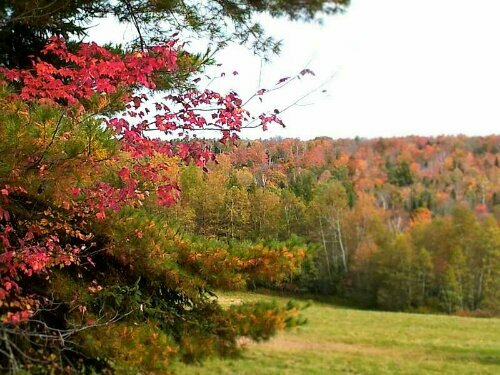 Today I’m sharing a photo of the beautiful fall foliage in Maine. Right in my back yard is the lovely and vibrant colors. My favorite time of year is fall. The air is crisp and cool and the scenery is bright and colorful. My aunt lives in Hawaii and when we were little she made us collect the prettiest and brightest leaves we could find so she could bring them back and show her students because they had never seen leaves change colors. I was shocked and upset, at that time I was still blissfully unaware that other parts of the world weren’t just like mine. Hopefully this will reach someone who doesn’t have a backyard full of beauty like mine.